RevivePro helps your team navigate the complexity and stress of a cardiac arrest event. Our mobile system was designed by clinicians, for clinicians to help teams perform their best. CodeBlue IQ helps your team learn from past performance. 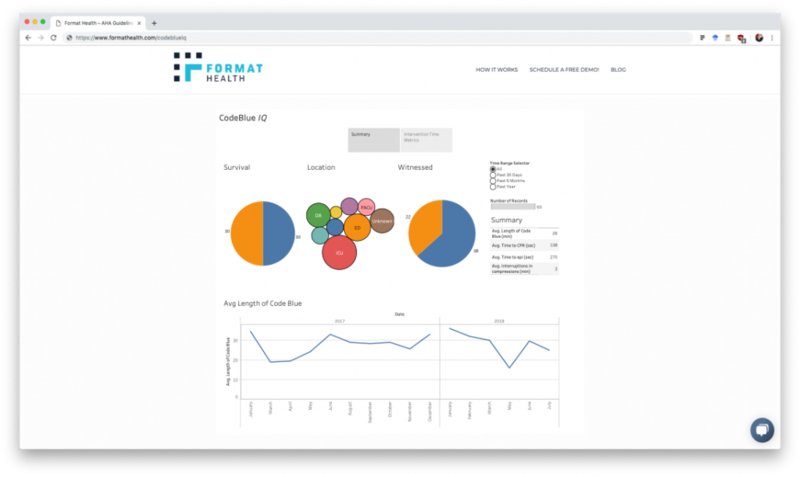 Our quality analytics and reporting system enables instantaneous access to comprehensive data and reports. Reliance on memory, manual dosing, and wall clocks for critical timed interventions results in 40% in survival rates between hospitals. Increased Adherence to ACLS Guidelines Keep your team on ACLS Guidelines and improve patient outcomes with built in quality and safety alerts. Incomplete, inaccurate, or missing cardiac arrest charts exposes hospitals to unnecessary litigation risk. 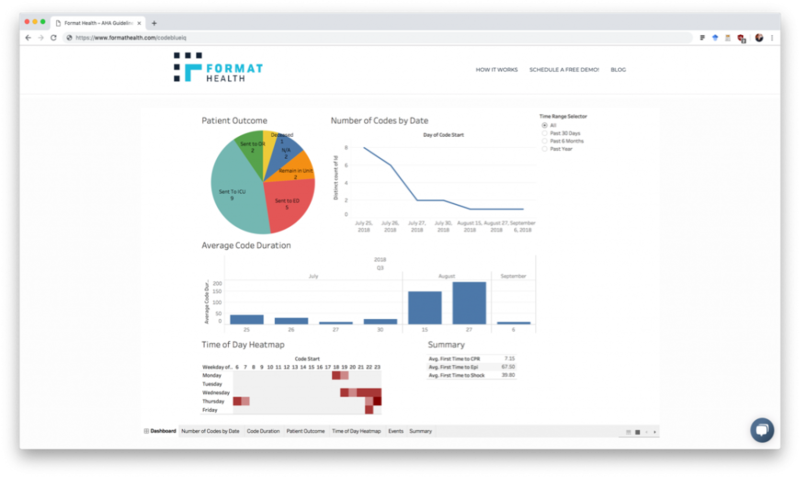 Full Documentation and Record Compliance Fully electronic, HIPAA compliant documentation through an efficient and intuitive user interface designed by clinicians for clinicians. Limited data leads to poor debriefing, training, and limited quality improvement efforts. 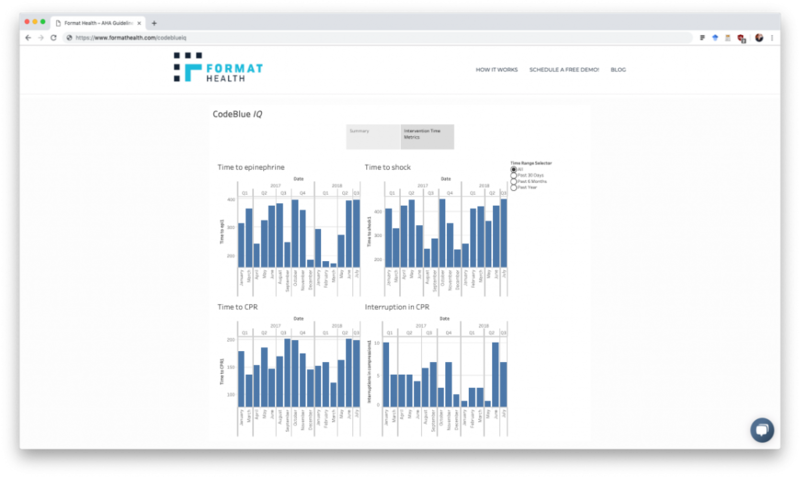 High Quality Data In CodeBlue IQ - track, analyze, and improve your cardiac arrest team performance with instantaneously accessible patient and quality improvement reports. Restricted to available paper charts or computer stations. Mobile System with Intuitive Design Manage codes anywhere with a mobile system that can move as fast as your code blue team. Fragmented Processes and Workflows For Managing Code Blue Data. Centralized System For Code Blue Data CodeBlue IQ is the single hub for all of your code blue records, data, and analytics. With CodeBlue IQ you can now easily generate reports for the American Heart Association GWTG-R Registry.